. I learned that in the years preceding the Civil War, slaves worked plantations along the Missouri River a short (to me) distance from Kansas City. A slave state, Missouri never officially seceded from the Union, but many of its citizens wanted to do just that. The population included passionate abolitionists like Elijah Lovejoy of St. Louis and equally passionate slaveholders whose plantations dotted the countryside of what was then called "Little Dixie." Because of the citizens' divided loyalties, Missouri actually had two state governments for a brief time in 1861. Women working in a Missouri munitions factory. The more I learned, the more I wondered, "what about the women? How did all of this impact their daily lives? What was it like? How did they cope?" Missouri women worked in munitions factories. They took over farms when their husbands and brothers marched off to fight. They organized a fair that raised over half a million dollars "for the cause." Adaline Couzins became a nurse (one of few to receive a pension after the war). She collected supplies, searched for the wounded on battlefields, and nursed them on hospital ships. Highly regarded for both her skills as a nurse and her fearlessness in the face of danger, Couzins was shot in the knee during the Battle of Vicksburg. Margaret McClure was just as fiercely loyal to the Confederacy as was Adaline Couzins to the "other side." Accused of several illegal (in officially Union St. Louis) acts, including helping to distribute Confederate mail to distributing contraband goods, Mrs. Couzins was confined to her St. Louis home, which was converted to the Chestnut Street Prison for women who had committed "acts of disloyalty." McClure was eventually banished to the south and spent the rest of the war in exile. 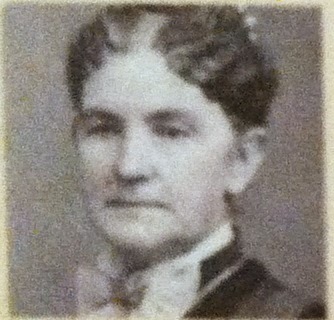 After the war, Mrs. McClure returned to St. Louis where she became the first President of the St. Louis chapter of the United Daughters of the Confederacy. If I'd lived in Missouri in the 1860s, what would I have done? Would I have risked my home or my life for the cause? For which cause? Learning about the women of the past always makes me thankful that I am a woman of 2015. Thankful for many things. As I write this post, my smartphone tells me that the high today will be 5 degrees. Five. I think about Margaret McClure in the dead of winter, trying to keep warm in her home-turned-prison. Of Adaline Couzins walking a battlefield strewn with suffering men. I take a break to put on a pair of socks. My feet are cold. The thermostat is only keeping the house in the 60s. Oh, Margaret ... Oh, Adaline ... how did you bear it. My great-great grandmother suffered imensely before and during the war. The family lived in Papinville, in the southern part of Bates County before 1859. Her husband had a solid busiess there, warehouses, an outfitting store on the Marais des Cygnes, the river that went farthest west toward Kansas territory. He moved his family back to the home of her only sister in Johnson County, just north of their original home in Henry County. 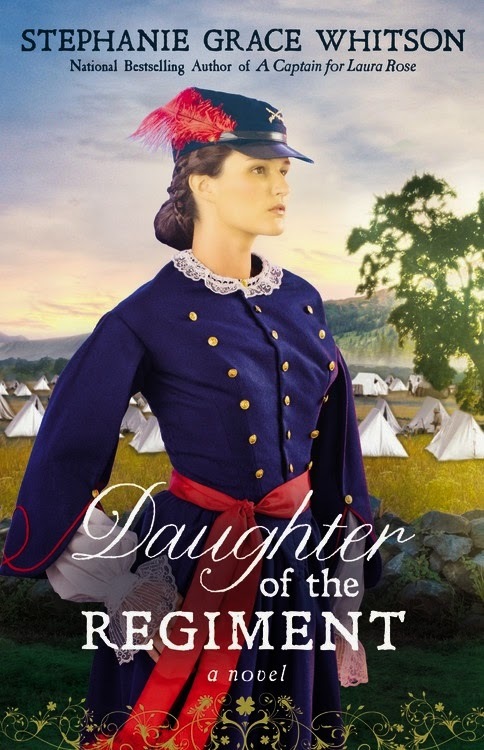 Just before the war began her husband died; she was pregnant with their fourth daughter. General Lane came through Bates county and destroyed it by fire, all of the small towns, including their busiess. His parnter was shot and killed on the doorstep of their store. She lost everything, including alot of credit people owed them. No one had anything after everything burned.She managed with the help of her large family of siblings. Later she married a man from Ohio and they had two daughters, born after the war. When I was a child I knew one of them.This all is part of my historical fiction in the works. And it's true, according to history. They were slave-owning families at various times when they farmed there in Henry and Johnson Counties. It is interesting to consider how my great-great grandmother, raised with slaves, and each of the daughters felt about that situation. Their response was to survive, to feed and clother their children as they could. 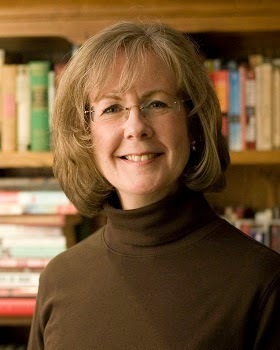 I don't know their sentiments about the cause of freedom; that is something I am discovering in the writing process. Kathy, your wonderful, fascinating post proves once again what I have long believed: What REALLY happened is far more amazing than anything I could make up. Thank you for sharing your story and happy researching! Glad you enjoyed the post. Missouri's Civil War history is endlessly fascinating. Love that little tidbit about the petticoat ... I wonder where the reenactor found the idea. Someday I'll post about an exhibit I attended in Missouri called "Underneath it All" about ladies' "unmentionables" ... thanks for sharing! Thanks for sharing the stories of these two heroic women. As a Californian, my knowledge of the Civil War is a bit lacking. I know some Californians served, but we don't hear stories about those brave souls very often. Perhaps one day I'll be able to visit the eastern states and learn more about this important time in our history. Keeping California and the other western states in the Union was one of the reasons given for the founding of the Pony Express. It was a huge concern at the time that the Union would "lose the West," since a large part of the populations were from the South. I'm glad you enjoyed the post, even though the Civil War isn't particularly a "hot historical topic" in California ;-). You can appreciate the nursing aspects on a level I never could. We have a Civil War nurse laid to rest in our historic cemetery here in Nebraska. Those women were remarkable. My husband just had total knee replacement surgery and I can tell you we really appreciated your profession while he recovered. Our nurses were skilled and kind ... the perfect combination. I could never do that job. I respect all who do greatly. Thanks for your kind words for nurses!